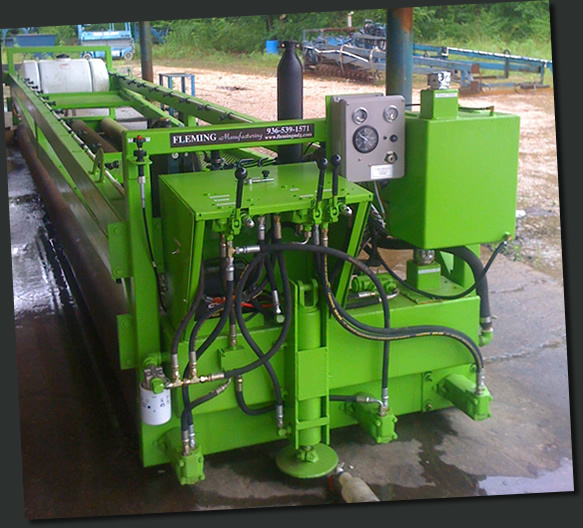 Fleming Manufacturing specializes in the manufacture of heavy-duty roadway construction equipment. Custom Design and quality engineering go into every product and our all-steel construction ensures a durability that cannot be found in substitutes. Fleming Manufacturing Company is manufacturing Compton designed paving forms and screeds, including flip flop models, and roller and vibrating screeds. See our newest item added to our fabrications...concrete washout containers. Our state-of-the-art technology and commitment to excellence have allowed Fleming Manufacturing to produce the finest products in the industry and our all steel screeds are pre-approved on projects throughout the United States as well as over 30 international locations. Fleming products can be depended on for years to deliver the excellence you expect form your screeds and forms. Call us for a complete listing.